This Festival in the Jewish calendar last 8 days and is always in December around this time of year. It is called the Feast of Dedications or sometimes referred to as the Festival of Lights. It started over 2,300 years ago in the land of Judea, modern day Israel. defeated Anticochus’ armies and the Jewish people reclaimed their inheritance and restored their ways. In December of 164 BC the Jewish fighters made their way back into Jerusalem and found their Holy Temple had been defiled and desecrated by the foreign armies. The enemy had defiled the Holy Temple by offering a sow (pig) on the altar and raising up in the Sanctuary a statue to Zeus. As depicted in the First Book of Maccabees (a respected historical account of Jewish history found in the Apocrypha), a revolt was launched by the priest Mattathias and later led by his son Yehuda (Judas) Maccabee. Thus the work of cleansing the Temple of the pagan idols begun followed by a Rededication of the Temple of the Lord on the 25th Day of Kislev. 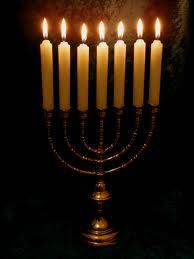 When it came time to light once again the Menorah, or Lampstand of the Lord in the Temple, there was only found one small jar of sacred oil for the burning of the fire in the Lampstand. 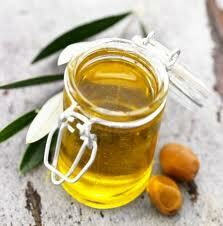 Miraculously, the small jar of oil burned for eight days, until a new supply of oil arrived. It was viewed as an authentic miracle! From then on, Jewish people everywhere have observed this holiday for eight days and nights in honor of the historic victory and the miracle of the ever burning oil. This is known as the miracle of Chanukah! This is the Festival of Lights which is now observed by the lighting of a special Chanukah menorah with eight branches (plus a servant candle), adding one new candle each night. In the New Testament, you might recall the story of Jesus, Yeshua, when He was at the Temple for the celebration. "At that time the Feast of the Dedication took place at Jerusalem; it was winter, and Jesus was walking in the temple in the portico of Solomon" (John 10:22-23). I personally love celebrating Chanukah knowing that my Messiah Jesus honored the Jewish traditions during his physical time on earth! I have personally observed this Festival in my own home over many years. So why shouldn’t we? In our Global Prayer Storm this week, let’s remember Hanukkah and let’s call forth for the “light of the world” to shine in each of our homes. Let’s also call forth the multiplication of oil in our own lives. It is also a time to recall God’s miraculous provision in history past knowing we can rely on Him in our own lives, families, ministries and congregations for His unlimited supply today! So let’s observe the Feast of Lights as Jesus did and call forth His abundant supply for our needs today! Amen and Amen! 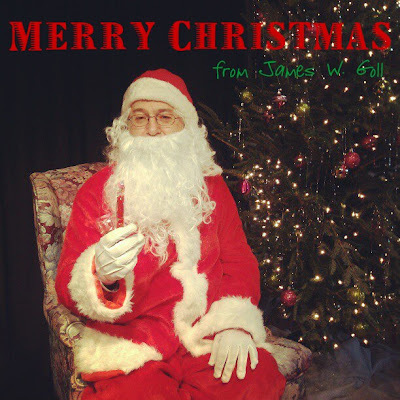 Merry Christmas from me to you this Holiday Season! This past Saturday I had the privilege to be Santa for a few hours at the Nashville Rescue Mission for a Global Wide Event called, Help Portrait. The goal of this event was to first and formost love on the poor. I believe God's heart was truly shown to all who attended. Not only was there Santa, but there were also make-up artists, hair dressers, photographers, musicians, and several other volunteers who gathered together to love and give to our community. May He be the center of our every day! A few weeks ago, pivotal national elections were held in the United States, which will have major long term affects. The nation is extremely divided at this crucial juncture being polarized on every major moral issue, foreign policy and ideologies of economic reform. I do believe more prayer ascended to the Lord for these elections than any in my personal lifetime. When you combine events like America for Jesus, David’s Tent in DC, the Reformation Prayer Network, other ministries and churches with special prayer emphasis, people doing 40-day fasts, and much more, it amounted to possibly the greatest volume of prayer I have ever witnessed. It can be argued though that what proceeded was not the deepest forms of prayer including repentance expressed by an actual turning from our sinful ways as a nation towards an authentic seeking of God. That statement would be true as well. But all prayer counts. As Dutch Sheets stated, “Finally, I want to address the question, “Were the efforts and prayers of those who did offer them simply wasted?” The answer is a resounding NO!” I totally agree. Two statements giving thought provoking perspectives that I whole-heartedly endorse are by those by Dutch Sheets of Christ for the Nations - Response to the Presidential Elections of 2012 and another by my friend Steve Fry of Messenger Fellowship - The Election: The View From A Higher Altitude. I would love to quote from both of these articles, but for sake a space and time I will simply need to refer you to these balanced and scripturally centered responses. Apparently, several leaders across America declared that Mitt Romney would win the elections. I was not aware of the volume of words from various leaders until after the fact. Some wrongly suppose that all these leaders know each other, take consultation together, and that all prophets and apostles agree with one another. Some wrongly suppose that there is one giant clearing house where all prophetic words are submitted and judged. It is just not the case. It is my belief, that actualized authority is only exercised where there is authentic relationship. There is as much diversity in the apostolic and prophetic movements globally and nationally today as there is diversity in the pastoral expressions in the local church. Each has a piece and we need each other. But we do have a dilemma on our hands, especially in the prophetic movement, as we are supposed to be “speaking in behalf of the Lord”. This has resulted in the tossing in of a little bit of my word mixed in with parts of other people’s revelations making a jumbled concoction. We all know, I went out on the limb when I released my word, “When the Nation is Throw a Curve.” I purposefully put multiple perimeters around my presentation. There are very few “declarative words” that happen no matter what. Most words are “invitations” with stated or unstated conditions that must be met to unlock the prophetic promise. Some people have lifted some of my words out of context. That is immature at best and or even wrong. But it is equally wrong not to be accountable for your public statements. I cannot take responsibility for what people do with public statements. I equally cannot respond concerning the words released by others that are not within my relational sphere, but I do stand in accountability for what I stated. Let’s review a portion of the word I released on 10/17/12. Please note the qualifiers I put around my word from 2008 concerning the man with a “big mitt”. The following is one section of my presentation. Let me give a word of perspective. We are not voting for a pastor or an elder or deacon of a church. This is not the next “senior pastoral selection committee”. There are many views and I value interaction, discussion and educated dialogue. Let me also be clear and state, I did not say who would win the national election. We have a free choice and God honors that. But He always offers us a choice. As I have stated earlier, I have “wrestled with this word and it has wrestled with me”. I have pondered deeply if I should even share the word at all publicly I understand about praying revelation and at times not sharing your word with others. I have privately prayed more words than I have given in public. I have taught this realm for years and these truths are contained in my book The Prophetic Intercessor. But being that we are in such a crisis of a crossroads in this nation, I for one cannot remain silent. I cannot let this word go unspoken. The Holy Spirit gave a confirmation to it to give me confidence. I have pondered and prayed thru this issue. I have made a decision to dare to be bold enough to share my subjective revelatory experience with you. The New Testament says to, “Test all things and hold fast to that which is good.” But please, whatever you do, do not be apathetic in this hour. Get informed, even at this last minute, pray and seek the face of God and put works to your faith and VOTE! This is our American liberty that men and women have fought and died for – the right for the voice of the people to be heard. I urge you – shake yourself off! Arise and make a difference. But this I do know: When the nation is thrown a curve ball . . . He has a plan! Some say there was voter fraud that threw the election. Some state that elections are a reflection of the state of the church in the nation. Some say there was not enough prayer. Some are wrenching their hands in worry and fear. Some are into a big blame shift game. But let’s take a REALITY CHECK on the situation. There was less votes cast for Governor Romney in 2012 than there were for Senator McCain in 2008. Their opponent was the same man – President Barak Obama. What does that in reality say? Let me be blunt for a moment. Faith without works is dead! It could mean that a whole lot of people were apathetic, disillusioned and did not vote according to biblical morality. It says that the conservative traditionalist did not rally to the poll (or are shrinking in numbers), that the progressive liberal party probably had a better ground game and that the ideology of moderacy is now the popular sport of the era. S. D. Gordon was the one that stated, “You can do more than pray, after you have prayed. But you cannot do more then pray until you’ve prayed.” Sounds like we had a lot of prayer and less action. Years ago Dr. Cho of Korea stated about the American Church, “There is a lot of talkie, talkie. But it’s time for a lot of walkie, walkie.” All I can say is AMEN to that! Or how about a cry for MERCY! We need a severe reality check. Was it judgment? Was it God’s sovereign will? It appears to me that God honors our authority structure of democracy and the exercise of free choice. Could it simply be that we did not put enough feet to our prayers? The prophetic ways of God with man and man with God are often like an old time taffy pull. We tend to pull the revelation this way and that, twist it and turn it, until it seems to fit our current understanding what we think God said. It is the soulish human nature of man to interpret what you want out of something and then attempt to do with it what you desire. But let me back up and give a review on some basic understanding of the prophetic. Prophetic words are partial, conditional and progressive in nature. As stated earlier, most words are invitations and very few are automatic declarations. Responses such as repentance, faith, action steps, intercession and other applications are the keys that unlock promise revealed to promise fulfilled. I in no way am trying to excuse our state of immaturity or align on the other side of the ditch with the accuser of the brethren. I just think it is time to GROW UP! Let’s not shift the blame. Let’s be responsible. According to Romans 13 and I Peter 2, let’s “honor those in authority”. Let’s yet believe that according to Romans 8:28, “that all things work together for good”. Let’s learn some valuable lessons and press on. I have not given up on this great country. When the nation has been thrown a curve ball, God still has a plan!